This machine takes GI/PPGI as raw material, through a series steps and can produce the metal roofing sheets. The inverter controls the motor speed, the PLC system controls length and quantity automatically, therefore, the machine achieves a continuous automatic production, which is the ideal equipment for cold roll forming industry. 1 set Capacity: Max. 5Ton,hydraulic control steel coil inner bore expanding, shrinkage and stop. 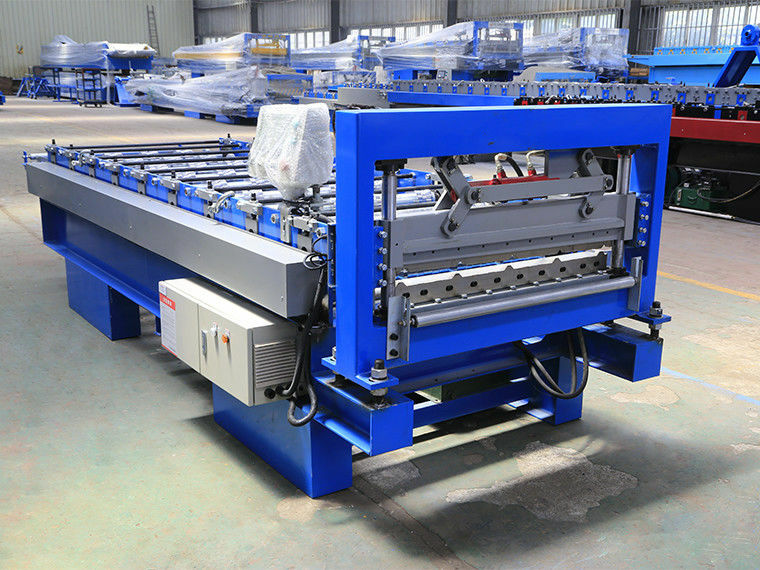 2.Forming machine Material Guiding System 1 set For feeding in a right position no Deviation. Main Roll Forming Machine 1 set About 18 steps, motor driving and chain transmission. Wall plate structure. 1 set PLC control system, encoder positioning and cut-to-length automatically, touch screen operating.